Jamie Carragher insists Chelsea star Eden Hazard is the best player in the Premier League and was the best player at the World Cup. 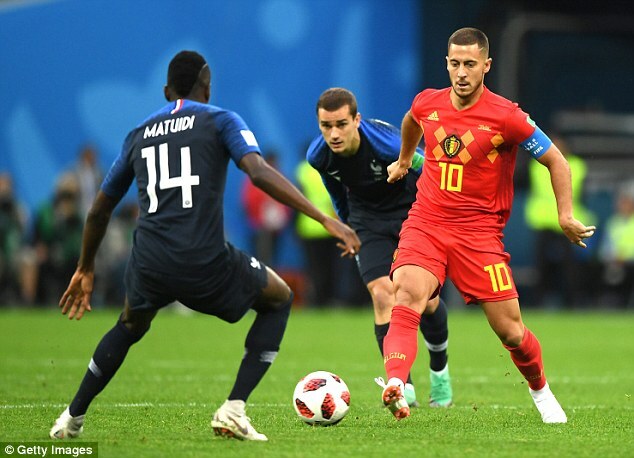 Hazard has continued where he left off in Russia helping the Blues begin with a 100 per cent record. 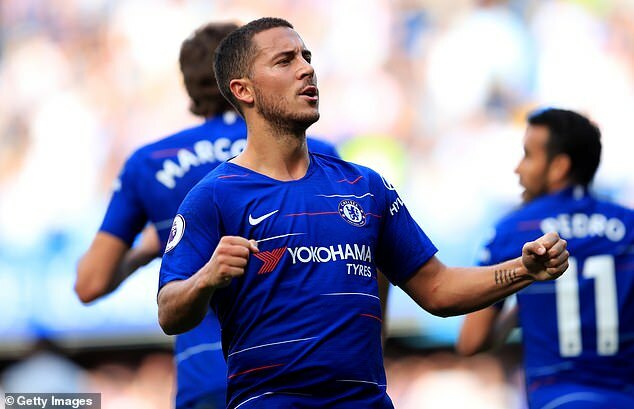 The Belgian has found the net five times in five league appearances, including a hat-trick in Chelsea’s 4-1 win over Cardiff at the weekend. The former Liverpool defender praised Hazard saying that he has been the standout player in the top flight for years. ‘I think Hazard is the best player in the Premier League,’ Carragher said on Sky Sports Monday Night Football. ‘What I mean by that is, [Kevin] De Bruyne and [Mohamed] Salah were the best players last season, I’m talking over a four or five-year period if I think “who’s the man?”. I do, I think he’s fantastic. ‘I think he was the best player at the World Cup. I should say that, I think he should have won player of the tournament. 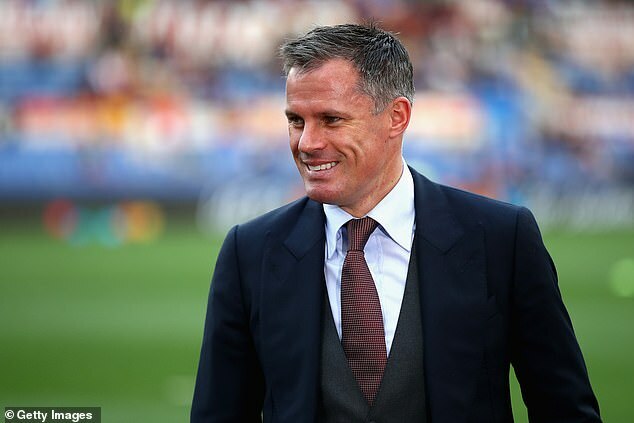 Carragher, who was still playing for Liverpool when Hazard joined Chelsea for £32million in 2012, drew on his experience as a defender when highlighting the 27-year-old’s qualities. ‘The great thing that I love and say about every top attacking player is they can’t be bullied, they can’t be knocked off the ball,’ he said. Previous articleWas It Disrespectful for Vontae Davis to Retire Mid Game?